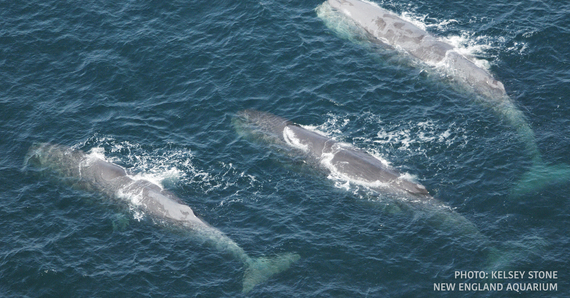 A Historic Moment for New England: A Marine National Monument in the Atlantic! Coral formations on Mytilus Seamount, located within the Northeast Canyons and Seamounts Marine National Monument. President Obama is making history today, announcing the designation of the Northeast Canyons and Seamounts Marine National Monument, which will become the only fully protected large marine area in the U.S. Atlantic Ocean. Until today, zero miles of the U.S. Atlantic were fully protected from the imminent threats of climate change and increasing industrial activity. The announcement comes just as the third annual Our Ocean Conference is held in Washington, DC, hosted by the U.S. State Department. Thanks to the president’s use of the century-old Antiquities Act, ancient coral formations will no longer face potential ruin from commercial fishing activity, and diverse and pristine habitats will allow an abundance of marine life to thrive. It is a good day to be a New Englander. So much of our region’s history is rooted in the ocean; so much of our economic success depends on a healthy ocean off our coast. Unlike our impressive conservation efforts on land, however, the ocean’s critical ecosystems beneath the surface have been overlooked. With the impacts of climate change already upon us, little action has been taken to protect these ecosystems and allow them to build resilience to changing conditions. With President Obama’s two recent marine monument designations, that may no longer be the case. Today’s announcement comes on the heels of the President’s expansion of the Papahānaumokuākea Marine National Monument off the coast of Hawaii, creating the largest marine preserve in the world. And a week prior, President Obama designated the Katahdin Woods and Waters Monument, safeguarding pristine forested wilderness right in our own backyard in the North Woods of Maine. The canyons and seamounts marine monument designation is especially timely and important for New England, where the ocean has the compounding threats of climate change, overfishing, and proposed extraction of oil, gas, and other resources. The Gulf of Maine is warming at a rate faster than almost any other ocean area in the world, and this monument will provide areas where biodiversity and marine life can continue to thrive; it will also provide an area for scientists to study climate change and possible strategies to better protect the ocean’s living resources against climate impacts. With the announcement made surrounding the third annual Our Ocean Conference – a gathering of international leaders on ocean issues – President Obama sets a high global and local precedent; he has now protected more acres of lands and waters than any president in U.S. history. Conservation Law Foundation is proud to have been a leader among a coalition of groups in the campaign to permanently protect the canyons and seamounts, helping to translate compelling science into a broad public advocacy to bring about permanent protection of the resource. Working with the New England Aquarium, leading marine scientists presented a body of research in March that made it emphatically clear that the New England Canyons and Seamounts, along with the Gulf of Maine’s Cashes Ledge, deserve and require permanent protection. More than 300 scientists and 300,000 supporters signed petitions urging a marine monument in the Atlantic, and a summer poll showed that an incredible 80 percent of New England residents want permanent protection of important ocean areas. Then, Senator Richard Blumenthal led the entire Connecticut congressional delegation in calling upon President Obama to designate the Canyons and Seamounts as a Marine National Monument, introducing a formal proposal for consideration by the Administration. Regional congressional leaders like Massachusetts Senator Ed Markey, Rhode Island Senators Sheldon Whitehouse and Jack Reed, and Rhode Island Governor Gina Raimondo then helped the White House shape the final proposal, including thoughtful efforts by Senator Markey to strike a balance between the conservation imperative and the need to sustain New England’s iconic commercial fisheries. The designation just announced serves both, because research has shown that fully protected marine areas are more resilient to the negative effects of climate change. President Obama’s designation of the Atlantic’s first marine monument has cemented his legacy on both conservation and climate change, while demonstrating the continued importance of the venerable Antiquities Act, first used by President Theodore Roosevelt, in protecting natural resources at risk. Celebrate with us: Send a message to President Obama to say “Thank You!” for designating the Coral Canyons and Seamounts as a Marine National Monument!